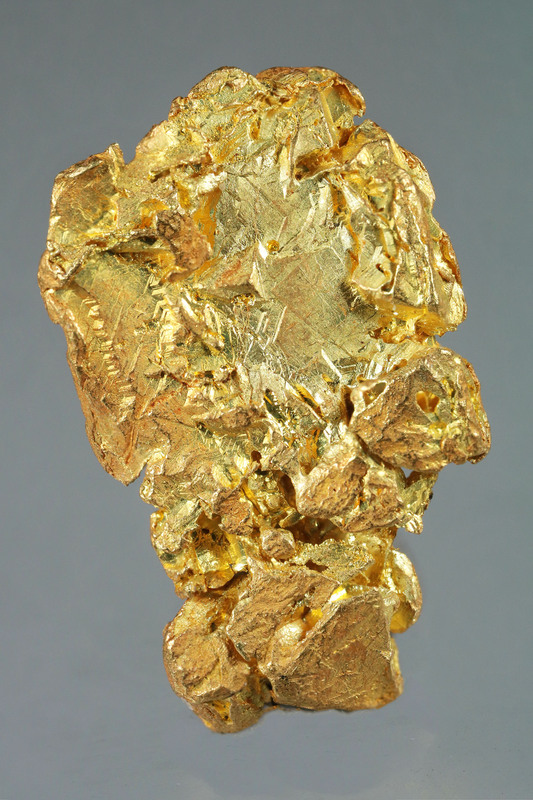 A fantastic plate gold nugget with distinct crystals laying flat and protruding from the surface. 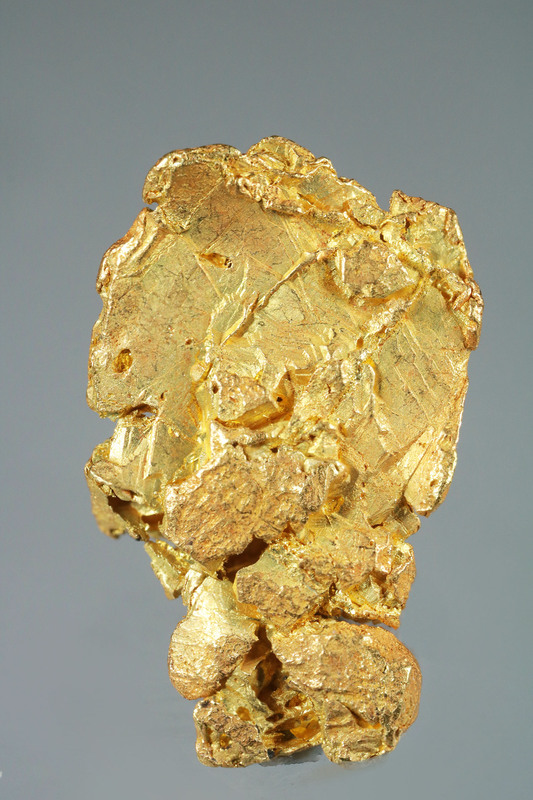 This is one from a small batch that we've recently sourced from an undisclosed mine in the Yukon. 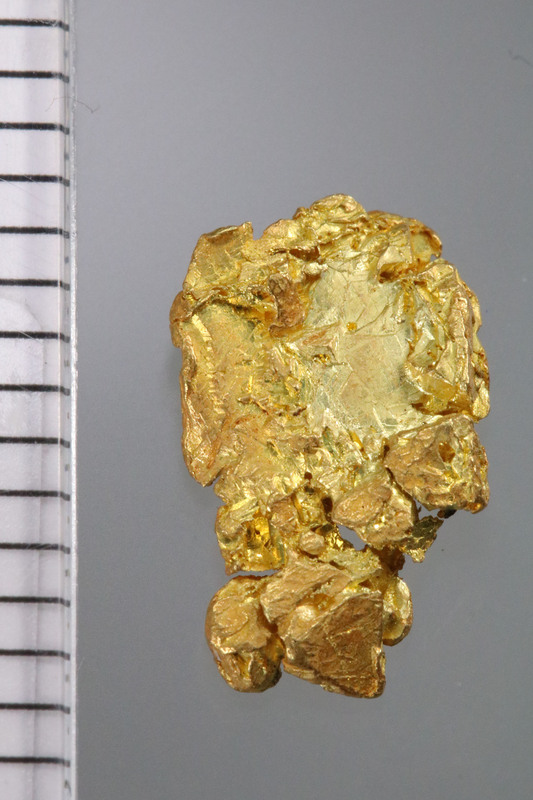 Gold nuggets and plate gold with a crystal structure are almost unheard of from the Yukon and Alaska territories and we feel incredibly fortunate to be able to offer such fantastic gold from the region. Dimensions: 9/16" by 3/8" or 15mm by 9mm.